Autoflowering strains feature unique growth patterns and must be treated somewhat differently than photoperiod plants. 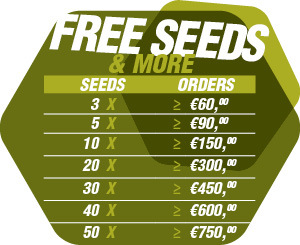 Click here, and find out what it takes to grow autoflowering seeds into hardy, bud-laden plants. Over the course of time, autoflowering strains have become more potent and stable than ever. Let's explore all the details surrounding the inherent nature of autoflowers, and present the growth patterns of these hardy little plants. Throughout this guide, you'll get a better idea of what’s required to cultivate your own robust autoflowering specimen. Furthermore, we’ll provide you with three great auto strains available in our catalogue! Let's begin. Photoperiod cannabis strains are dependent on the duration of light exposure to begin flowering. When the autumn season begins, the duration of light naturally diminishes, which signals to photoperiod plants that it’s time to drop seeds and reproduce before the winter frost kicks in; hence, they begin flowering. Contrarily, autoflowering strains are not dependent on this change in light exposure to begin flowering. Autoflowering strains contain genetics from Cannabis ruderalis plants that evolved in very cold climates in Northern Europe and Russia. In these regions, winter comes early—something cannabis plants don't like. Therefore, the natural selection process developed plants that begin flowering before the natural change in light hours. These ruderalis plants are then hybridised with photoperiod plants, creating autoflowering strains that flower independently of the light cycle, but feature the highly sought-after qualities of photoperiod cultivars. Autoflowering varieties entered the market during the ‘70s when breeders were experimenting with mixing ruderalis plants with regular photoperiod varieties. Naturally, ruderalis plants barely contain any THC, while photoperiod plants comprise high THC levels. To get the best of both worlds, autoflowering strains emerged. The first ones to hit the market were coined as “Lowryder”. Outdoor-grown photoperiod strains need to be planted and harvested at a specific time. The reason autoflowering strains are desirable is that they grow short, fast, and can be cultivated virtually during any season, as long as base temperatures are high enough. Indoor growers can literally place autoflowering strains under a 24h light cycle, and the plants will develop those flavoursome buds. Many growers prefer to place autoflowers under a 20-4 light schedule, allowing plants plenty of light exposure, with a few hours of complete darkness. Autoflowers are great for novice growers who haven't fully grasped the light cycles of cannabis. Photoperiod plants need a longer period of uninterrupted darkness during their night cycle; otherwise, if there's just a miniscule amount of light bleeding into the grow room, the buds can become hermaphroditic and develop seeds. On the other hand, autoflowering strains are much more forgiving to unexpected light leakage. Generally, photoperiod plants flower for anywhere between 50 and 120 days, and that's after they've been in the vegetative stage for 40 to 120 days. It’s hard to grow them outdoors in colder climates because it can even start snowing while the buds are still maturing. Autoflowering strains, however, grow very fast. From seed to harvest, one can expect the plants to be ready after 60–90 days, depending on the strain and how the plants are treated. This allows growers in colder climates like Northern Europe to harvest plants before the frost kicks in. Indoor growers can harvest several autoflowering crops over the course of a year, which is great for eager growers who like to receive their cannabis fast. Generally, autoflowers are much shorter than photoperiod plants, reaching around 30–120cm in stature. Many growers prefer short plants for several reasons. First, they are easier to manage. Tall cannabis plants may require string support, which is difficult to handle for novice growers. Second, the plants easily fit into indoor grow spaces, so one doesn’t need to use training techniques to keep the plants short. Third, autoflowers are quite stealthy in outdoor environments, making them perfect for guerrilla growers. Over the past couple of decades, autoflowering strains were known for their low THC levels, and were considered an inferior kind of cannabis. However, in recent years, breeders began to perfect autoflowers by combining ruderalis genetics with high-THC photoperiod cultivars to create the ultimate product—potent, fast-flowering cannabis strains with a manageable growth profile. Of course, most autoflowers still have lower THC levels than photoperiod counterparts, but they’re getting more potent. In fact, it’s not unheard of for autoflowering varieties to hit 20% THC and above. Plus, it’s not all about THC potency. Given the hundreds of chemical compounds in cannabis like CBD and terpenes, there are many ways to heighten the recreational and medicinal efficacy of autoflowers. 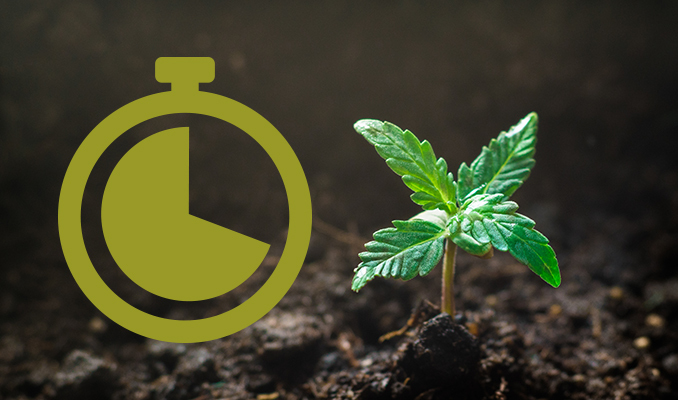 Something to consider with autoflowering varieties is that their internal clock to start flowering is already pre-set from the moment the seedlings pop to the surface. Therefore, taking clones from autoflowering plants doesn’t make sense, because the clones have the same internal clock as their parent. If the mother autoflowering plant has been vegging for 3 weeks and a cutting is taken from it, this cutting will technically flower at the same time as the mother. Therefore, cloning autoflowers is a "no-go", unless one likes to play mad-scientist. Autoflowers are sensitive to transplants. Regular photoperiod plants can be transplanted during their vegetative stage because they have more time to adjust to a new container or grow medium. Autoflowers don’t have this extra time. As such, transplanting them can cause quite a bit of stress, resulting in shorter plants and smaller yields. Sowing autoflowering seeds in the same grow medium and pot where they’ll flower is generally the best way to go. Topping is a high stress training (HST) technique in which growers cut off the main growing tip to encourage the growth of two new main colas, while supporting the development of buds below. This process is used to control height and boost yields, and is most popular with photoperiod cultivars. There is an old wives tale that any high stress training is “bad” for autoflowers, but next-gen cultivars are turning this myth on its head. Albeit, autoflowering strains do have less time to recover from techniques like topping, but there is nothing inherently wrong with this process. A lot of the time, novice cultivators will make their foray into training auto plants by using LST or low stress training. This involves tying and bending branches, rather than cutting the stem. This way, you can help control the growth of your plant, without causing too much stress. In general, autoflowering strains won’t yield as much as photoperiod plants because of their small stature. Yields range anywhere between 20 and 100g+ on average. However, depending on the strain and growing techniques, some autoflowers can develop up to 500g/plant! Now that you have more of an idea on how to grow autoflowers, we will recommend some of Zambeza’s best autoflowering strains. Our Super Silver Haze Autoflowering has been developed to rival the legendary photoperiod plant. This strain churns out around 120–170g/plant of buds outdoors—well beyond the average. It reaches around 80–100cm in indoor settings and 110–150cm outdoors. It's a very fruity and energetic strain. Another great strain is NYC Diesel Autoflowering. Diesel varieties were perfected in New York, then spread their wings across the globe and were later transformed into autoflowering varieties. 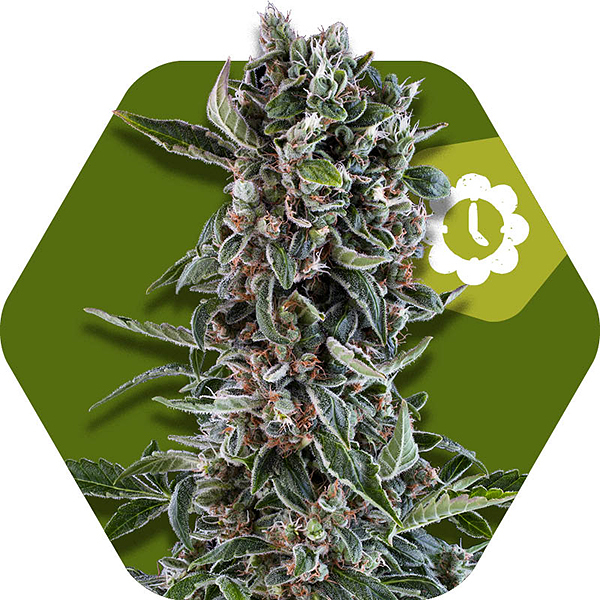 NYC Diesel Autoflowering develops very pungent aromas and 75–120g/plant outdoors. 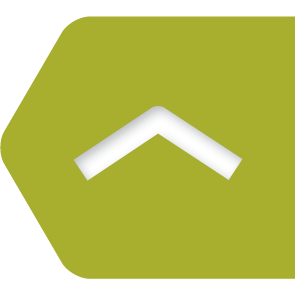 The THC levels reach around 15%, inducing a euphoric high that evolves into a more relaxing and sedating sensation. Another one of our delightful autoflowering strains, Blueberry Cheese Autoflowering develops berry-like and cheese fragrances during its flowering stage. It's definitely an organoleptic strain for those with a refined palate. From seed to harvest, it takes Blueberry Cheese Autoflowering around 60–70 days to fully mature those dank buds. The plants reach 50–100cm in stature and produce around 50–100g/plant.